Album CD with 16 pages booklet in a super jewelbox. 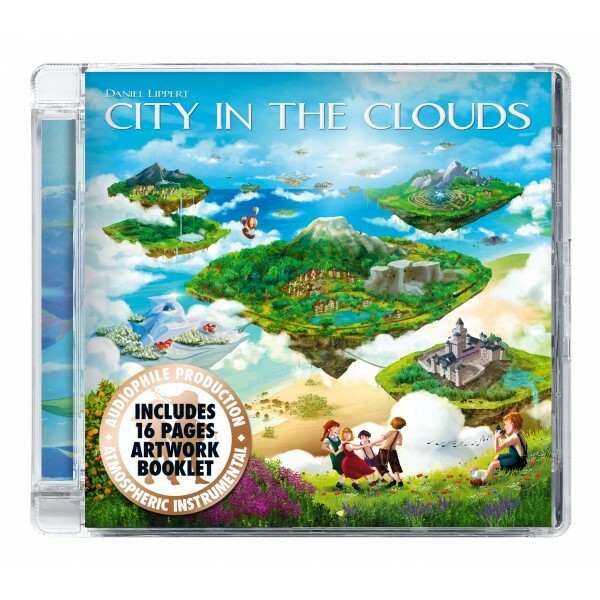 The music on the album “City in the Clouds” has so many facettes: Calm, tranquil pieces that feature piano and strings are followed by powerful electric guitar sounds that carry a sense of departure and invite to adventure. Mystical pan flute melodies bing you into faraway places, playful ocarina melodies awake childhood memories, and contemplative synthesizer tones induce goose bumps and maybe even tears. While listening to the music, you literally experience a wondrous fantasy world, from which you don’t want to return to reality. All songs on the album have something in common, though: They spread a fascinating atmosphere that conjures fantastic imagery and instantly fuels the listener’s imagination. Because there are no vocals or text in the whole album, the listener has a lot of space to explore here and maybe can live his own adventure. This product is also available as vinyl record, MP3 or FLAC.